Poultry need a source of high quality protein from legumes, grains, and insects. 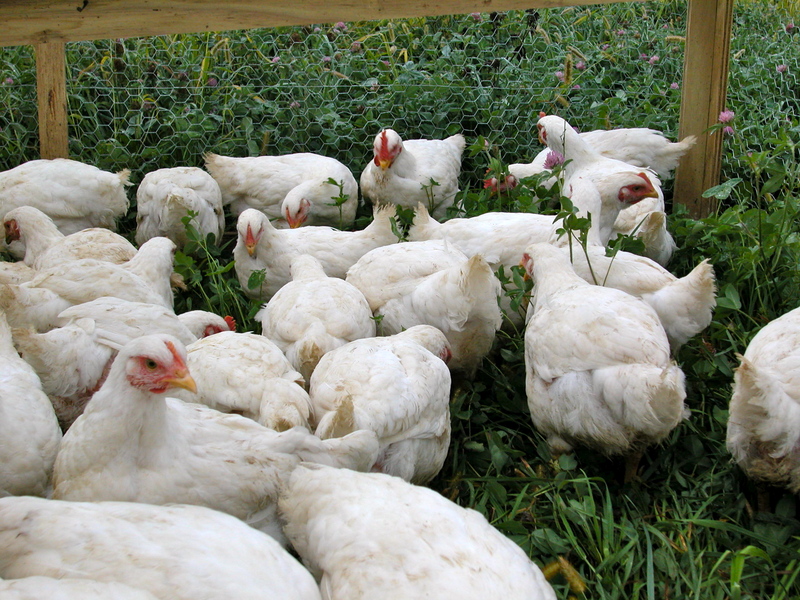 Pastured chickens will get up to 30% of their nutritional needs from foraging. 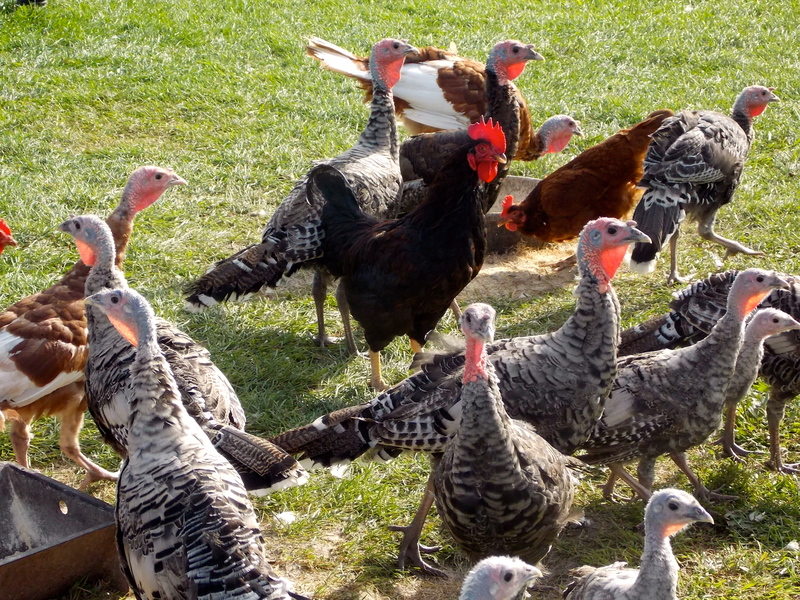 Turkey, duck and geese are even more efficient grazers; up to 50% of their diet can be attained from pasture. Pasture raised meat is a great source of Omega 3 fatty acids, carotenoids, vitamin E, vitamin A, and folic acid. Our broiler chickens live in mobile pasture pens that are moved daily. The chickens, turkeys, and ducks enjoy a diet rich in mixed greens: alfalfa, clover, and native grasses. Turkey, duck and the egg laying hens are free to roam the farm. The ducks like swimming in the pond. Best of all, our poultry’s healthy diet means that consumers have a healthier diet, too! Enjoy great tasting food that’s good for you. Barbara Gorski, a pasture poultry producer, received a federal grant to test the nutritional content of pasture raised meat and eggs. Compared with commercial birds, pasture raised chicken has 21% less total fat, 30% less saturated fat, and 28% fewer calories. Under USDA guidelines breast meat from her pasture raised chicken is so lean it earns the designation “fat free.” Pasture raised chicken has 50% more vitamin A and 100% more omega - 3’s. In a taste test The New York Times food editors chose free-range turkeys over conventionally raised turkeys as their number one choice. Taste the difference...you'll never eat conventionally raised eggs or poultry again!